Purchase a new pool or hot tub from a swimming pool company you can trust. At Pool World Inc., we have the knowledge and experience to build your water refuge and finish the job correctly the first time. Established in 1989, we never compromise our quality for profit. 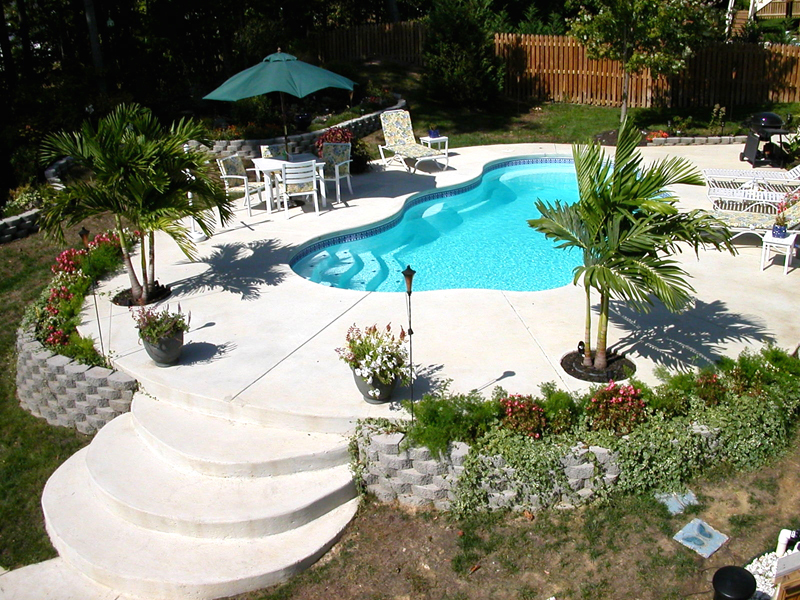 As the first company to introduce fiberglass in-ground pools to Northeastern Pennsylvania in 1993, we know our customers respect our professional service and quality products. More than 65% of our business is based on referrals from customers satisfied with our above- and in-ground pools, hot tubs and spas. We have been in the swimming pool business for over 30 years. Our current store is in existence since 1989. We have been professionally installing fiberglass pools since 1995. We have installed over 2000 fiberglass pools. We train new dealers for our fiberglass manufacturer. We have a full-time, in-house installation crew, not “summer help”. We keep 8-12 fiberglass pools on display at all times. Unlike most of our competitors, we do not just sell out of a brochure. We have 30-40 fiberglass pools in stock, equalling faster scheduling of installation and better prices. Most of our competition has to order each pool for each job, meaning 4-6 week delays and higher prices. Pools are shipped to the job site by us, using our trucks and trailers. This equals fewer delays. Most of our competition has to depend on their manufacturer’s schedule and equipment, increasing delays and prices. Due to our extensive experience, in-house crews, and large inventory, we always have complete, up-front pricing. 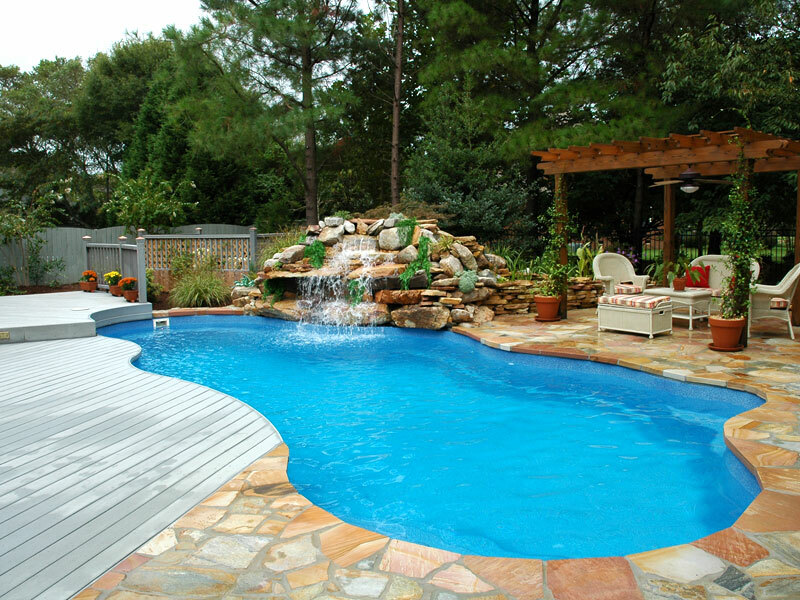 From excavation to swimming, it takes us approximately 10-12 hours to install your fiberglass pool. Expect our competition to be in your backyard at least a week. Our fiberglass pools are always installed using a 1b stone base and 2b stone backfill. This creates a solid base for our pools that allows drainage of ground water from around pool. Most of our competition uses sand for the base, and sand or dirt from the excavation to back fill. This is not recommended in the northeast due to heavy underground frost conditions and does not allow proper drainage which increases the chances of a pool shifting or “popping” from excessive hydrostatic pressure from ground water. We install well-points and run perforated drain pipe to daylight. This moves ground water away from the pool to relieve any hydrostatic water pressure for the life of the pool. Most of our competition relies on a $10 hydrostatic relief valve that has an expected service life of 6-8 years. Our fiberglass installations are covered by Harford Insurance against “pop-outs” to give our customers added peace of mind.